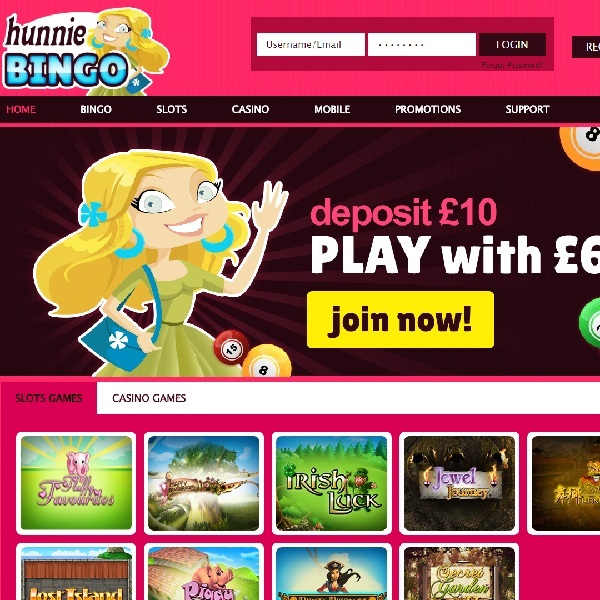 Hunnie Bingo is the latest online bingo site to go live and it is bringing players a huge selection of games, promotions and more. The site operates on software from Cozy Games and players will find a selection of 30 ball, 50 ball, 80 ball, 90 ball and 75 ball bingo games and tournaments across a variety of themed rooms. The games offer substantial prizes as well as some huge progressive jackpots. In addition to bingo there is a large collection of slot titles as well as casino games. Furthermore, many of the games are mobile compatible. New players are given a £15 free no deposit welcome bonus. They can then enjoy a 500% first deposit bonus of up to £50, a 350% second deposit bonus and a 300% third deposit bonus. The site also runs a number of other promotions and competitions with a range of prizes up for grabs.